Last Saturday, a local charity held a Rubber Ducky Regatta. They launched 3,500 ducks in the local lake and the first 25 ducks to cross the finish line would win a prize. People could adopt a duck for $5 or a dozen for $50 and the Grand Prize was a trip for 4 to Washington DC for 8 days and 7 nights. I bought 2 dozen and kind of forgot about it. On Monday morning, my friend Corey called and he said "Congratulations!" and I said "for what?" He went on to tell me that he calls friends whose name appears in the newspaper and he said that I won the Grand Prize for the Rubber Ducky Regatta. I was so surprised! It wasn't until the foundation called me that I truly believed it. 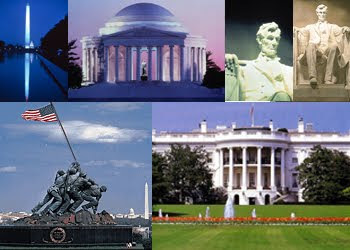 I can't wait to show my kids our nation's capital and visit Williamsburg and Monticello. Living in California, we don't get a real sense of our history. I'm so excited! Do you have any recommendations for our visit? WOO HOO! Congratulations!!! That is the perfect time to go to D.C.!!! Donna! That is awesome! Congrats! I was born & raised in DC. My dad worked at the Pentagon for 30+ years and retired after 9/11. Washington DC is a MAGICAL town - especially seeing the monuments at night! All of the Smithsonian museums are incredible (and free!) and your kids would love the Air & Space & the Natural History Museum - very cool. The National Zoo is fantastic (and also free!) and fun to do. The Segway tours are awesome! And you must check out Pentagon City for shopping. And Old Town Alexandria! I could go on & on! Feel free to email me if you want more info: triciann1 at hotmail dot com. OMG! I'm so happy for you! That is just wonderful. I've never been to DC so I have no real tips for you except to make resevations ahead of time to see the White House. I hear you have to do that and can't just show up to tour it. It is going to be so pretty with all the trees blooming. Can't wait to hear all about it. Oh I'm SOOOOOOOOOOOOOOO happy for you. I know I would be thrilled to have won that. I can't wait to see the Washington DC themed bon voyage party! That's soo cool! I'm jealous! Smithsonian - you have many to choose from - choose wisely the kids will be on overload from visiting so many places. International Spy museum took hours. I'm so excited for you - hope this info helps. CONGRATS!! I know there are plenty of museums there to visit that I enjoyed as a kiddie...haven't been there since =( Enjoy your trip!! Wow!! Congrats!!! I know you will love your trip! Hi! My in-laws live in the area and the kids and I went last summer. Just a hint for the Easter Egg Roll...go online and see what you can find out. I've heard rumors from Park Rangers that you can get tickets online now. When the kids and I went to get them a few years ago, people were camping out overnight in the middle of DC to get tickets. So...do your research! Also, the Natural History Museum has a live butterfly exhibit you can walk through and the butterflies fly all around. It is beautiful! My daughter LOVED it. It was her highlight of the trip. A lot of the monuments offer tickets online now to purchase for a couple dollars ahead of time. It is totally worth it! I know you can get tickets to the Washington Monument and several others. You don't have to wait in line and hope for tickets...you know you have them and you show up at your assigned time. I think it is COMPLETELY worth it! I'm an unofficial tour/event planner for our friends and family so, here are my top choices. 1) night tour of monuments - you can hire a cab to drive you around or book a tour..must do! 5)If you're going to do a tour I love Old Town Trolley tours. You can pick up at Union Station and get on and off all day....drivers are informative, funny and helpful and get to see a TON. from Embassy Row, National Cathedral all the way down to Arlington Cemetery..worth every penny. I would skip the zoo - overrated in my opinion - Baltimore zoo is much better. honestly packing a lunch and hanging out on the Mall (especially by Lincoln Memorial) is one of my favorite things to do! A baseball game at Nationals stadium although the team is not great it's a great stadium with famous local dining outposts - Ben's Chili Bowl, playground, batting cage for kids etc. found a great family special last year ticket and lunch for $15 a person. Hi! My name is Donna and I live in Southern California with my husband and 3 great kids. 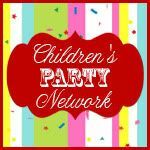 I own a Children's Party Planning business-Party Wishes! I cannot let a day go by without doing something creative. I always have tons of projects going on such as painting a bench for the backyard, embellishing my daughter's jeans and overalls with vintage textiles or baking brownies with my kids.